We are very pleased and excited to announce our new weekly chats all about maternal health with some of the leading maternal health experts, researchers, practitioners, and organizations in the world under the #maternalhealthchat hashtag. Starting on Tuesday, November 8 at 1 PM EST with Jacaranda Health we will host 30-minute chats each week all about maternal and reproductive health as well as the health of newborns. We will dig into statistics, best practices, innovative tools and programs that save lives as well as feature and highlight the people and organizations that are making a difference to save the lives of women the world over. Join us on November 8 at 1 PM EST with our first featured organization, Jacaranda Health. Jacaranda Health is a nonprofit social enterprise that provides high-quality, respectful, and low-cost maternity services to women in Kenya. Their innovations have resulted in 99.9% survival rates for newborns and mothers, 45% fewer maternal complications than nearby public hospitals in Kenya, and postpartum family planning rates that are 4x higher than the national average. To learn more about Jacaranda’s progress, view their 2015 impact report. With all of the amazing work Jacaranda Health is doing, they can use your financial help. They are raising $10,000 for their Nairobi-based maternity hospital. Small donations really do make a difference! We cannot wait to see you online on November 8 at 1:00 EST! If you or your organization would like to be a part of our #maternalhealthchat please contact us at info@mombloggersforsocialgood.com. For years researchers who study maternal morbidity and mortality have been stumped as to why rates continue to rise and why women of color are adversely affected despite education, health care, and socio-economic factors. A new report and the first of its kind released in May, New York City 2008 – 2012: Severe Maternal Morbidity, shows the myriad reasons why women of color, especially low-income, Black non-Latina, women fare the worse with severe maternal morbidity (SMM). While most studies in the past across the country focus on maternal mortality, this report focused on maternal morbidity, the causes of maternal mortality. One of the beautiful aspects of Africa is its beautiful, wide expanses. All over the continent you will be awed by how far-reaching your eyes can see especially when traveling through its spectacular countryside. But as much as it is beautiful, the size of Africa also poses a significant problem because without modern infrastructure, including the Internet, and transport to major cities, those who live in the deepest, far-reaching rural areas are not privy to the best medical care they can receive. In Botswana, this is about to change. In partnership with the University of Pennsylvania, Microsoft, the University of Botswana, and other global partners, the Botswana-University Hub (BUP) has launched a new project, “Project Kgolagano,” to bring telemedicine to rural areas in the country to help diagnose maternal health cases as well as HIV, cervical cancer, and TB cases. Using TV white spaces (unused broadcasting frequencies in the wireless spectrum) Internet broadband is able to reach even the most remote villages in developing countries. In fact, it has been reported that Microsoft and Google are both chasing white spaces in Africa where only 16 percent of the continent’s population is online. This is where solar power can be game-changing to keep Africa online despite its energy shortcomings. Just look at Kenya where Microsoft helped provide broadband Internet in rural areas even when electricity was nonexistent or very scarce. Each January Bill and Melinda Gates release their Annual Letter. This year they are taking a bet on the world’s future. 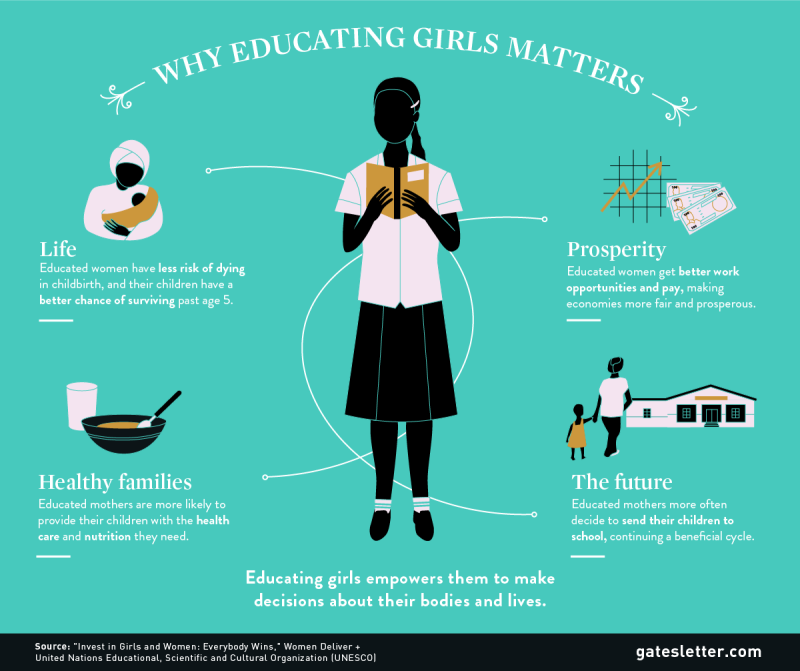 15 years ago the Bill and Melinda Gates Foundation was started and there have been substantial improvements in global health and development since then because of its dedication to the world’s poorest people. Now, Bill and Melinda Gates believe even more can be done in the next 15 years. By 2030 Bill and Melinda Gates bet that fewer children will die from preventable disease and more preventable diseases will be eradicated, Africa will be able to feed itself, millions more will gain access to mobile banking and education will be improved by innovative software. 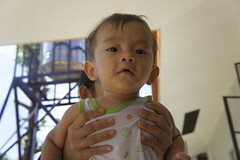 Today, one in 20 children die from preventable diseases. In 2030, Bill and Melinda Gates bet the number of child deaths will come down to one in 40 children. Decreasing that number will take political will from the hardest hit countries with child mortality, new approaches and programs to keep children and newborns alive, vaccines, better health systems, and funding. It’s mind-boggling to know that Africa imports $50 billion dollars in food annually. Why? Because African farmers do not produce enough food currently to feed the continent. 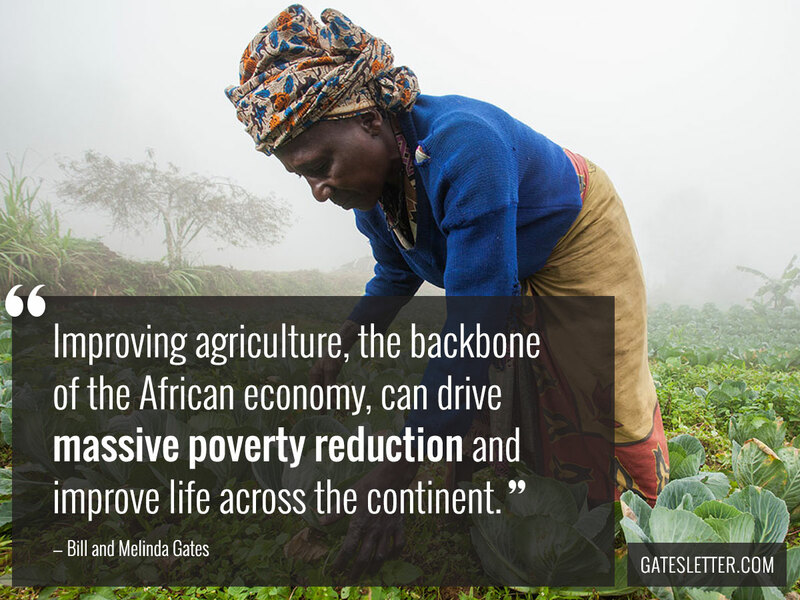 But due to its massive size and large agrarian societies Bill and Melinda Gates believe Africa will indeed be able to feed itself in 15 years . More training, better seeds, improved fertilizers, and crop rotations will lead to more yields across all of sub-Saharan Africa. That will lead to more money remaining in Africa for national and continent-wide improvements, such as increased funds to improve health systems or provide better training to farmers across the board. Currently there are 2.5 billion people who do not have access to a banking account. This means these people aren’t able to keep their assets safe and it proves difficult to borrow money and pay it back seamlessly. Bill and Melinda Gates believes that in 15 years hundreds of millions of people will gain access to a mobile bank account that will change their lives and the way they save, spend, and earn money. With innovative technology education will be accessible to millions more helping them leave the cycle of poverty and to improve their lives. 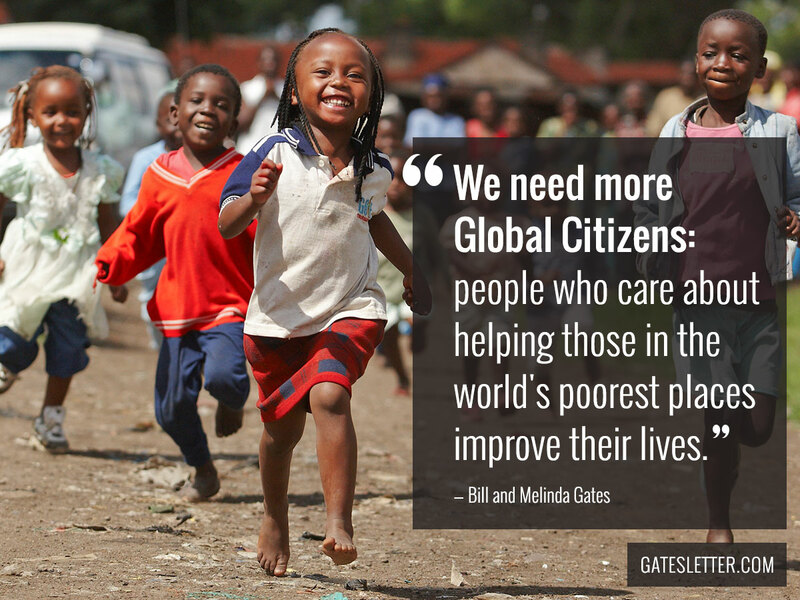 Bill and Melinda Gates are calling on everyone to become Global Citizens and care about these issues. 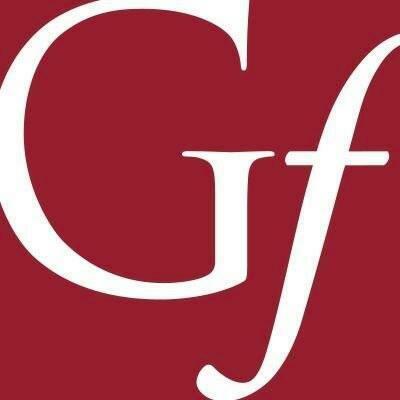 Read 2015 Gates Annual Letter: Our Big Bet for the Future at gatesletter.com. 2015 will be an interesting year in global health primarily because this is the year when the Millennium Development Goals should ideally be reached. Global health experts admit that many of the goals, for example MDG5, will not be reached globally even though some of them have already been reached on a country level. Ethiopia effectively reached MDG4 along with Bangladesh, Liberia, Malawi, Nepal, and Tanzania according to a 2013 report in the Guardian and UN data. Globally, the proportion of people having access to safe drinking water was reached in 2012. That is cause for celebration. The overarching theme this year will be how the global health community will save more lives in low and middle-income countries in the best ways possible. This does not necessarily mean substantive goals, target dates, and data measurements will be scaled back. Rather, improved approaches to global health will be devised to streamline processes and programs. While there are many global health stories that deserve following in great detail here are our top five picks for 2015. 1. The Effect of Ebola on Maternal Health: While Ebola is being fought in Sierra Leone, Guinea, and Liberia there must also be an enhanced emphasis on women who are pregnant and need to deliver their babies in a hospital setting. As it is, with low resources and crippled health systems in these three countries, women still need to be afforded quality care during pregnancy and delivery while health workers also care for those stricken with Ebola. As the year goes on it is probable that key data will emerge from lessons learned during the Ebola response. According to Scientific American, the WHO, UNICEF, and Save the Children have already devised best practices and protocols for safe delivery. 2. Global Immunizations: This year we will watch the increase in rotavirus vaccine roll-outs across poor countries. Why? Diarrhea is one of the top three leading causes of deaths for children under five, and yet the rotavirus vaccine isn’t accessible in the volume of some the other vaccines. 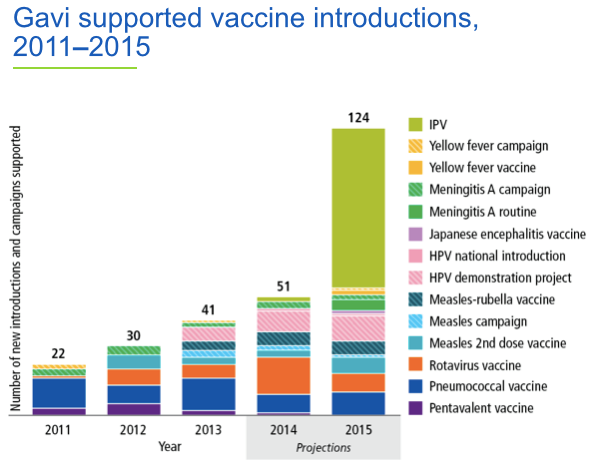 That said, rotavirus roll-outs have increased substantially since 2011. There is more good news. With increased GAVI funding, the rotavirus vaccine will be introduced in 30 countries this year. We will also look at the progress of the Ebola vaccine. GAVI has announced that it is ready to purchase a million doses of the vaccine as soon as the World Health Organization approves its use. Today, Johnson & Johnson announced that they have already begun clinical Ebola vaccine trials with volunteers in Africa. 3. Country Commitments to the Every Newborn Action Plan (ENAP): Last year saw the official adoption of the plan during last year’s World Health Assembly and the launch of the Every Newborn Action Plan in Johannesburg during the Partners Forum. 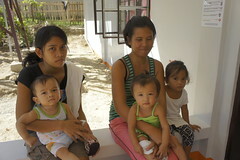 Upon its launch there were already 40 commitments (PDF) to save more newborns globally. That said, this year we will also look for increased commitments, particularly country commitments, to the ENAP especially since 2.9 million newborns die every year due to largely preventable causes. 4. Scaling Up of Frontline Health Workers: Did you know there is a global shortage of 7.2 million frontline health workers? 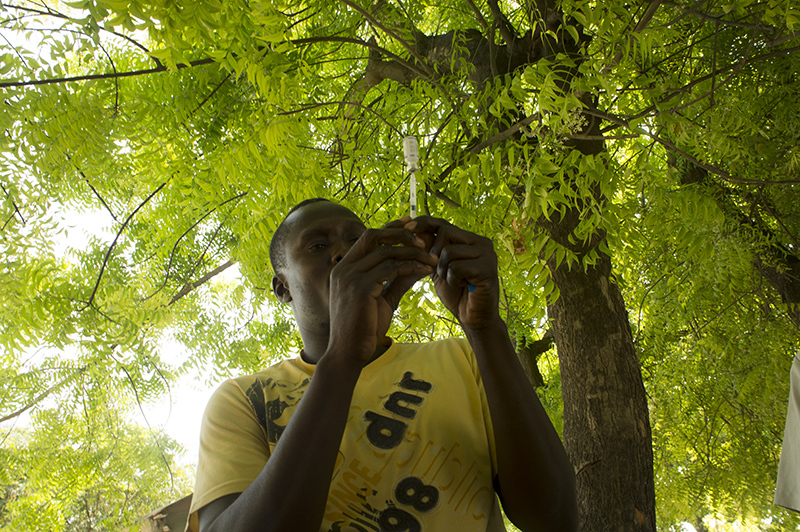 That key data has been widely shown by the lack of health workers in Ebola stricken countries. It’s the lack of health workers that has made fighting Ebola harder than it should be and why many health workers outside of Africa have had to pick up the slack. Scaling up health workers is a large expense, but it bears repeating that in order for countries to provide quality health care to their citizens there must first be enough health workers. Ethiopia is touted time and again as an excellent example of a poor country that effectively scaled health worker coverage across the country through a government-led effort. Other countries’ health ministers have traveled to Ethiopia to see best practices for scaling up their own frontline health force. The second step after key learnings, however, is making sure actions are taken besides pure lip service. In 2015 we will look at evidence from other low- and middle-income countries, particularly in sub-Saharan Africa, that will introduce better national health worker programs. 5. Food Security in Conflict Areas: At the end of 2014, the World Food Programme said that it had suspended food aid to 1.7 million refugees in Syria due to a lack of donor funding. And previous to that, the WFP split vouchers in half to stretch funds according to the New York Times. Even though the World Food Programme received an emergency influx of funds after their voucher suspension announcement last month, it is never a good sign to see that there are not enough donor dollars to feed the world especially those who are living in conflict areas. Food security in not only conflict zones, but also in West Africa will be on our must-follow list this year. Which global health stories are you following this year?